Caused to move from their original meeting rooms in the now disused Scout Hut, Ropley Brownie Pack have been helped to settle in their new home, Ropley Village Hall, through a £100 donation from the Lions Club of Alton. 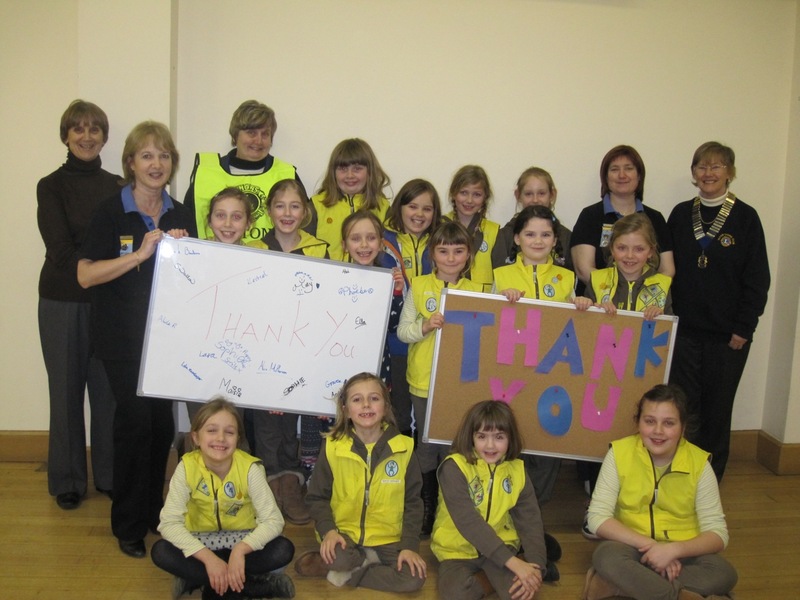 The donation enabled the replacement of fitted equipment such as notice boards and storage, which could not be moved from the Brownies’ old home together with new kit for craftwork. The new venue for this thriving pack also marks the half- century of the Brownies in Ropley. Alton Lions President Sarah O’Donoghue congratulated the Brownies on their transition to Ropley Village Hall and wished them lots of success for their next 50 years. Photo includes Brown Owl Gina, Swallow Leader Louise, Kestrel Leader Suzan, Lion President Sarah and Lion Jackie together with the Ropley Brownie Pack. Next Next post: Osmington Bay Youth Camp 2013 – Progress report January 2013.